One of the keys to deliberate manifestation is to “give your desire attention”. One way to do so is through an Abundance Journal! In our half-day workshops we provide a 1 month Abundance Journal as part of our course materials. Several people are interested in continuing the journaling process and want more. 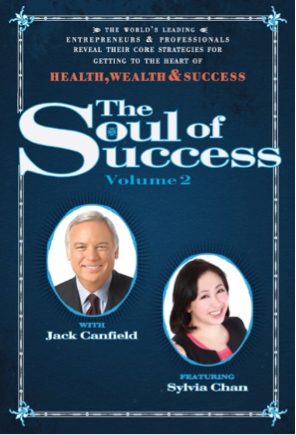 Sylvia Chan joined Best-Selling Author® Jack Canfield, originator of the Chicken Soup for the Soul® series, to co-write the book, “The Soul of Success, Vol.2: The World’s Leading Entrepreneurs and Professionals Reveal Their Core Strategies for Getting to the Heart of Health, Wealth and Success”. Released on September 10, 2015 by CelebrityPress™, a leading business book publisher, The Soul of Success Volume 2 reached best-seller status in six US Amazon categories on the first day. 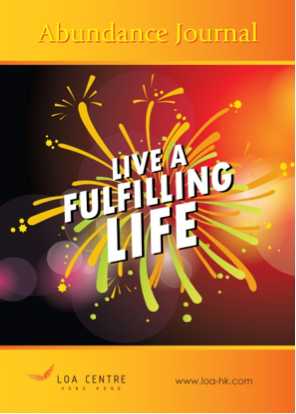 In her chapter, “From Pissed to Blissed By Catching Limited Beliefs”, Sylvia Chan narrates her journey in transforming her own life by practicing 3 core strategies everyone could turn our lives around to be more blissful. For Hong Kong delivery, purchase here! Limited edition autographed by Sylvia Chan are available. For overseas delivery, please order directly from Amazon. Or email sylvia@loa-hk.com with delivery address for estimation of international postage.